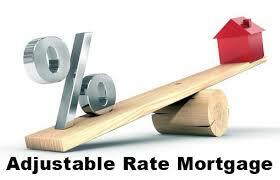 fixed-rate mortgages. This makes the ARM easier on your pocketbook at first than a fixed-rate mortgage for the same amount. It also means that you might qualify for a larger loan because lenders sometimes make this decision on the basis of your current income and the first year’s payment. Moreover, your ARM could be less expensive over a long period than a fixed-rate mortgage- for example, if interest rates remain steady or move lower. Against these advantages, you have to weigh the risk that an increase in interest rates would lead to higher monthly payments in the future. It’s a trade-off-you get a lower rate with an ARM in exchange for assuming a little more risk. 1. Is my income likely to raise enough to cover higher mortgage payments if interest rates go up? 2. Will I be taking on other sizable debts, such as a loan for a car or school tuition, in the near future? 4. Can my payments increase even if interest rates generally do not increase? With most ARM’s, the interest rate and monthly payment change every year, three years, or every five years or more. However, some ARMs have more frequent interest and payment changes. The period between one rate change and the next is called the adjustment period. So, a loan with an adjustment period of one year is called a one year ARM, and the interest can change once every year. 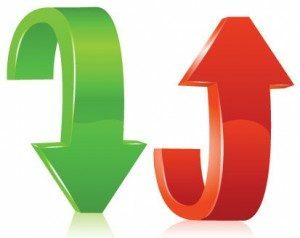 Most lenders tie ARM interest rate changes to changes in an “index rate.” These indexes usually go up and down with the general movement of interest rates. If the index rate moves up, so does your mortgage rate in most circumstances, and you will probably have to make higher monthly payments. On the other hand, if the index rate goes down your monthly payment may go down a lot too. Lenders base ARM rates on a variety of indexes. Among the most common are the rates on one, three, or five-year Treasury securities. Another common index is the national or regional average cost of funds to savings and loan associations. A few lenders use their own cost of funds, over which-unlike other indexes-they have some control. You should ask what index will be used and how often it changes. Also, ask how it has behaved in the past and where it is published. To determine the interest rate on an ARM, lenders add to the index rate a few percentage points called the “margin.” The amount of the margin can differ from one lender to another, but it is usually constant over the life of the loan. Index rate + Margin = ARM Interest rate! lenders. Both ARMs are for 30 years and an amount of $265,000. (all the examples used in this are based on this amount for a 30-year term. difference in margin would affect your initial monthly payment.